Serious about quality and integrity. Having just returned from a weekend visit of the Turquoise shipyard, TWW broker Jason Duggan has a new found respect and appreciation for what the Turquoise yard is trying to achieve. With four 50m+ yachts currently in build and some highly regarded yachts already ruling the waves, Turquoise has gone from strength to strength on the international market. The 52m DeBasto Design (both exterior and interior) delivery 2020. The 56m exploration vessel, André Hoek=designed delivery 2019. The 74m Vallicelli designed and interior by Ken Freivokh, with a delivery of 2020. The 81m with a delivery of 2021. The current build schedule and forward roadmap show a true passion and integrity in everything Turquoise delivers and their focus on growing and building on a strong product is clear to see. Jason says "Not since my days surveying British naval ships, have I witnessed such clean ship module construction and presentation. 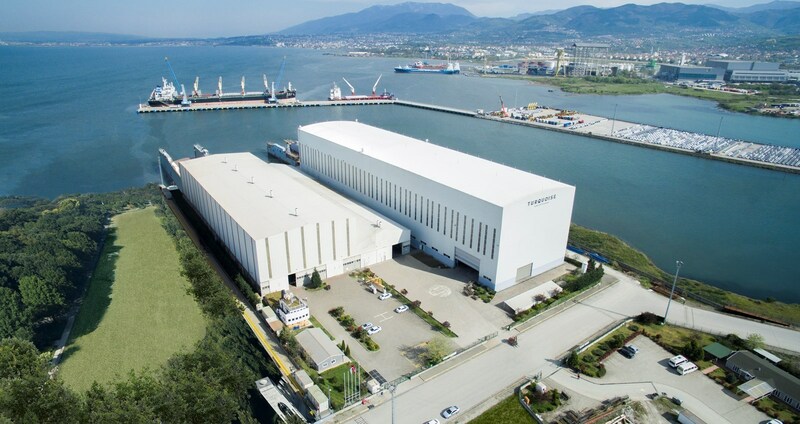 A weekend tour of the Turkish facilities included both the Kocaeli and Pendik yards as well as the Ulutas interior manufacturer, which provided an opportunity to see the various construction and outfitting stages." One thing is for sure, this yacht builder knows how to build a vessel. With Mehmet Karabeyoglu at the helm of the yards operations and Dr. Mohamed Al Barwani bringing the overall vision, these two forces ensure a value chain that can compete with some of the major players.